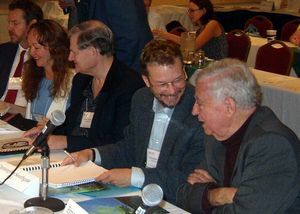 The Center for Theology and the Natural Sciences offers annual memberships to an international audience of scientists, humanities scholars, clergy, and the general public interested in the field of theology and science. Members receive a subscription to the journal Theology and Science, with online access to the current and all past issues, online access to The CTNS Bulletin (which was published from 1983 to 2002), a members’ newsletter, and discounts on CTNS conferences. The program gives members the opportunity to keep up to date with current research, while also financially supporting the work of CTNS. To join, please visit https://www.tandfonline.com/pricing/journal/rtas20.